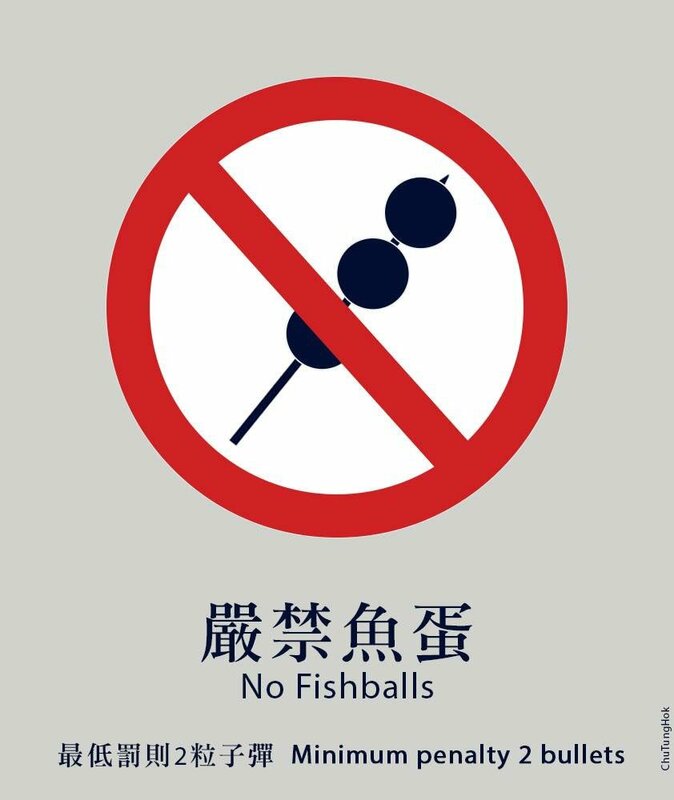 Lunar New Year festivities turned violent in Hong Kong’s Mong Kok district as police came out to enforce new city regulations on illegal food vending. Tensions were compounded when an officer fired two warning shots into the air at 2 a.m. on Tuesday. CDT is following the story as it develops. 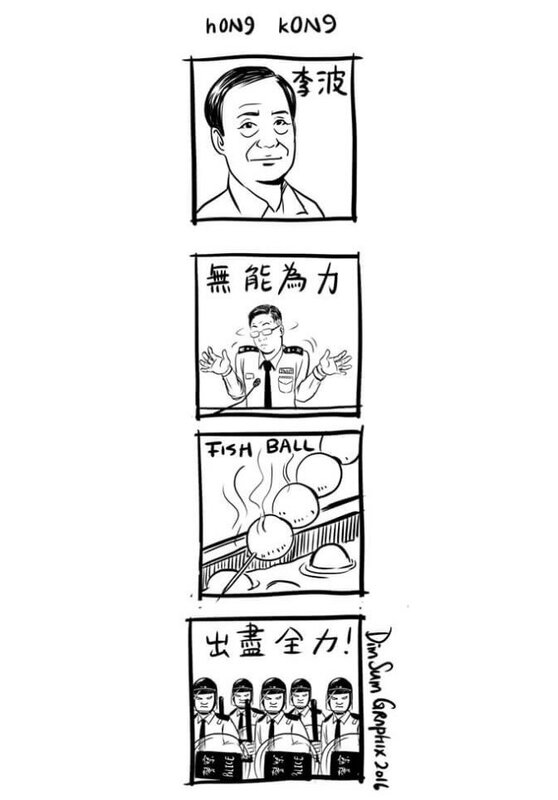 Cartoonists in Hong Kong and beyond have responded in support of the protests, which echo the Occupy Central movement against Beijing’s encroachment on the autonomy of the special administrative region. 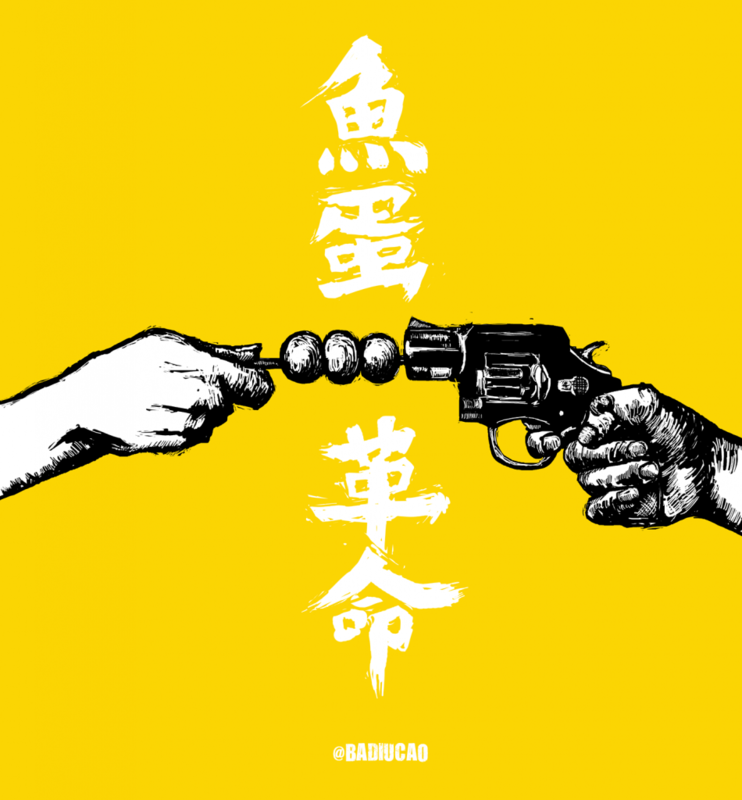 Many artists juxtapose images of pistols with skewered fishballs, a popular street snack and the source of the hashtag #FishballRevolution (#魚蛋革命) on Twitter.